Phil's Forum for Independent Retailer Success: How Long is Your Shoestring? The term "Shoestring Budget" dates back far enough that no one really knows who or how it got started. Some say it's because shoestrings are so low to the ground and your budget is really low. Some say it's because shoestrings are so cheap that they're all you can afford. Some say it's because broken shoelaces were used to tie together all your other belongings, meager that they were. One theory I liked was in reference to shoestring gamblers, gamblers without a lot of money who played low stakes games. Regardless of it's origin, most independent retailers have a Shoestring Budget when it comes to your marketing. And most of your marketing is a gamble, spending X hoping to get Y in return. On Monday I did a presentation at the Michigan Downtown Conference called Main Street Marketing on a Shoestring Budget. 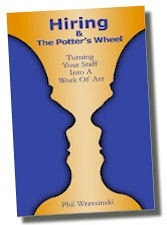 The notes for that presentation are now downloadable in the Freebies section of www.PhilsForum.com. Those of you who want to learn the truth behind Word-of-Mouth Advertising, how to use Social Media properly, or would like a way to turn all those requests for donations into actual business for your store will download this document. Those of you who want to learn an easy way to turn your customers into fans, a simple way to draw traffic at only $2.50 per new customer (guaranteed), or want to learn how to meet people that can make a difference in your business will download this document. Those of you who want to learn two techniques that will strengthen all the businesses on your Main Street at once will download this document. The rest of you can continue to gamble with your shoestrings. But I'm betting that a lot of you are going to download this document and pass it along to your friends (strongly encouraged). Did I tell you it's FREE?